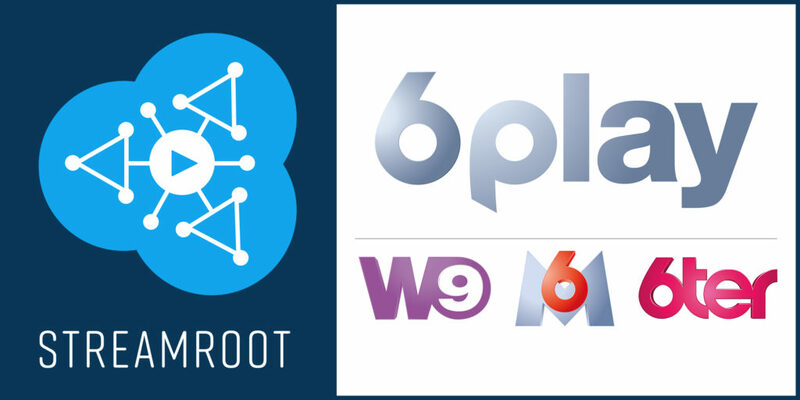 Streamroot, the leading provider of distributed delivery for OTT video, announced today that it was selected by the RTL-owned French media group M6 to power VoD and live video delivery for its online video platform, 6Play. One of the most watched television networks in the French-speaking world, the M6 Group incorporates a variety of national TV channels, including M6, W9, 6ter, Paris Première and Téva; the radio stations RTL, RTL2 and Fun Radio; film production and distribution companies as well as an advertising agency. With 21 million registered subscribers, and over a billion video views in 2017, the group’s online 6Play platform, provides viewers with direct access to a wide selection of live and on-demand content across a variety of devices. M6 channels offer both original and curated content that include French and international films, series and TV shows. These include the popular international series NCIS, The Good Wife and Marvel’s Agents of S.H.I.E.L.D., as well as hit TV shows Top Chef and France Got Talent, and live events such as the Miss Universe Pageant and the UEFA Europa League final. These attract large audiences, and require a robust streaming workflow that is able to easily scale to high numbers of concurrent viewers. In order to boost capacity while improving video quality, M6 has chosen Streamroot as its peer-accelerated CDN provider, and has implemented Streamroot DNA™ distributed network architecture on its platform 6Play. Group. “Streamroot’s technology complements our platform by providing additional scale and robustness, and by promoting an improved video quality for our users,” he adds. Streamroot is a leading provider of innovative OTT delivery technologies for media groups, content publishers and enterprise customers. Powering over 20 million video sessions every day, peer-to-peer, midstream CDN switching and eCDN solutions offer broadcasters a key competitive advantage through improved quality of service, greater audience reach and infinite delivery capacity with zero infrastructure investment. Plug-in free for viewers, Streamroot delivery solutions integrate seamlessly into broadcasters’ existing video workflows. Streamroot is supported on all major web and mobile platforms, as well as Android and iOS set-top boxes, providing the most comprehensive user coverage on the market.